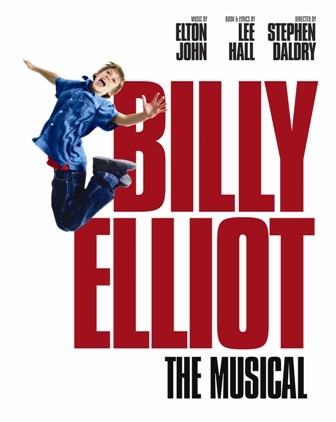 Home Billy Elliot The Musical Where Do All the Billys Come From? Much has been written about the phenomenal success of the British show Billy Elliot the Musical (BETM), and how it has won the award for Best New Musical in all three countries where it has opened to date. The show is based on the 2000 film, Billy Elliot, starring Jamie Bell, written by Lee Hall and directed by Stephen Daldry. The musical is also written and directed by Hall and Daldry and it features Sir Elton John’s score and Peter Darling’s choreography. The musical officially opened in London’s West End on May 12, 2005 and celebrated its 5th birthday there in May of 2010. In November of 2007, another version of the show opened in Australia, beginning in Sydney and then moving to Melbourne, where it closed in June of 2009 after a very successful run. November 13, 2008 was Opening Night for the Broadway version of the show at the Imperial Theater in NYC, where it played 1352 times (including previews) over three plus years, before closing on January 8, 2012. In 2010, the 1st North American Tour began in Chicago in March and presented 533 performances in Chicago and Toronto before closing in the latter city on September 3, 2011. The first version of the show in a language other than English began a run in August of 2010 in Seoul, Korea, where it ran a total of 233 times (including previews) and closing on February 27, 2011. A second North American tour, initially planned for 120 cities over three years, began in Durham, North Carolina on October 30, 2010 and has had several iterations since, playing in cities across the United States and Canada. It closed 886 performances later on August 18, 2013 in Sao Paulo Brazil. Future versions of the show have been announced (no specific dates) for the Netherlands and Denmark. Few dispute the fact that the primary reason for the success of the show is the amazing performances of the young, talented boys who star in the title role and, indeed, carry the two hour and 50 minute show. Never has a role in a musical demanded so much from one so young. The boys who play Billy are on stage for all but two scenes in the show and their time on stage would exhaust many a veteran adult actor. During each performance, they not only have to act and sing in a northern England accent (Geordie) that is foreign to most boys who play the role, but they are also expected to do complex dance routines that include ballet, tap, street dance and gymnastics. Daldry likens it to “playing Hamlet, while running a marathon”. In fact, the stamina demands are so great that it takes a rotation of four Billys in each location to get through eight performances a week. But not only do the boys just excel in the stamina department. In three locations where the show has opened thus far, they have performed the role at an award winning level. In London, the original three Billys (James Lomas, George Maguire and Liam Mower) jointly received the Laurence Olivier Award for Best Actor in a musical. In Australia, the original four Billy’s there (Rhys Kosakowski, Nick Twiney, Lochlan Denholm and Rarmian Newton) jointly won the Helpmann award for Best Actor in a musical. And, on Broadway, the boys originating the role of Billy (David Alvarez, Kiril Kulish and Trent Kowalik) jointly won the Tony for Best Actor in a musical. To date, 35 boys have portrayed Billy Elliot in London, 10 boys performed the role in Australia and 16 in New York (including Tanner Pfluger who filled in as Billy on Broadway for a month because of an injury). Eight played the role in Chicago/Toronto, five in Seoul, and 13 appeared in the cast of the North American Tour. For the future productions in the Netherlands and Denmark, it is said there’ll be the need for an even larger number of Billys due to child labor laws in those countries. The reason there have been that many boys comes from a) the need to maintain a rotation of four boys in each location at any given time and b) the relatively short “shelf life” of a boy portraying an 11 year old who may not be taller than a certain height and must have an unbroken singing voice. At that age, the boys quickly outgrow playing Billy and average time in the role is nine months. So how has the creative team of the musical come up with so many boys of such a high caliber to play the part of Billy, and how will they have enough boys to play the role in the future? The first part is an on-going and very organized search for talent. In each country where the show plays, there is a casting department for the younger roles. It has the responsibility of filling the more than 25 roles of the production’s younger cast members in the North American productions (and double that number for the West End show because of different child acting laws in England, which require there be three complete casts for the young people’s roles). Their toughest job, of course, is searching out and then auditioning boys 9-12 years old to play the role of Billy, who have to have extraordinary dancing talent with decent, unbroken singing voices (the creative team feels it can teach the boys acting if necessary). They continually beat the bushes of dancing schools throughout the countries where the show will run and also have a presence at most regional and national youth dance competitions. Nora Brennan, the children’s casting director for BETM in North America, saw thousands of boys beginning in 2006 through early 2013. As noted above, only a relatively few of those actually made it into the show. Initially, for example, over 1500 boys were auditioned in the US for the Broadway show. From that number, 15 were brought to NYC for ten days of intense training and further auditions. From those, three (and one understudy) were ultimately chosen to originate the role of Billy. Out of that group also came a Broadway Michael (Billy’s best friend in the show) and two London Billys. In London, the process is on-going. The need to replace a Billy every six months to a year means a pipeline of Billys must be maintained. And for each new country where Billy Elliot will open, a similar search is begun and the process is repeated for as long as the show continues to run there. The second part of the answer regarding how they provide so many Billys is training. Each boy, depending on his age and talents in all areas required for the show, is in training and rehearsals for three months to two years before ever setting foot on a stage in front of a live audience. Average training time is 18 months. After the first two years of the original production run in England, an extensive study of the training developed for the role over the first couple of years in England was conducted by The National Academy for Gifted and Talented Youth, because never before had such an extensive training process been required or put in place for the performing arts. The process is considered a model for the future. In the study, the training developed by the creative team (which continues to be expanded and enhanced with time and experience) was outlined in depth. Of course, today, with the show going strong in both England and the US, the process has been even further refined. A big part of the training picture today is the “Billy Camp”. First established in Leeds, England, the camp is run on weekends during the school year and more often when school is in recess. Once boys have been determined, through the search process, to have the potential to be a Billy, they begin to attend sessions at Billy Camp. With no guarantee that they’ll ever set foot as Billy on stage before an audience, the boys get dance, acting, dialect coaching and vocal training from some of the best instructors in their respective fields. This article, entitled “School for Prospective Billys” talked about the Billy Camp in Leeds shortly after it first opened. Even if they don’t ever become Billy, the boys receive an unparalleled education in the performing arts they’d be hard pressed to find elsewhere and that in many cases their parents wouldn’t be able to afford to give them. As part of the camp, the boys receive specific training in the skills they’d need to play Billy, including learning the actual dance numbers from the show. The creative team in each location carefully watches their progress. Once a decision is made that a boy has what it takes to be Billy, they are brought to London or New York to train full-time with the show’s creative teams. BETM has published a wonderful article called Finding Billy Elliot, which talks about the process here in America and features quotes from Nora Brennan, Alex Ko and Cesar Corrales. So, as you can see, the creative team for BETM has prepared for the needs of the show, even with the ever increasing requirement for more and more Billys. They’ve put a process in place to identify young talent and then train them to perform at a very high level. And that’s where all the Billys come from. For more information on Billy Elliot the Musical, check out the other articles found here on theskykid.com.